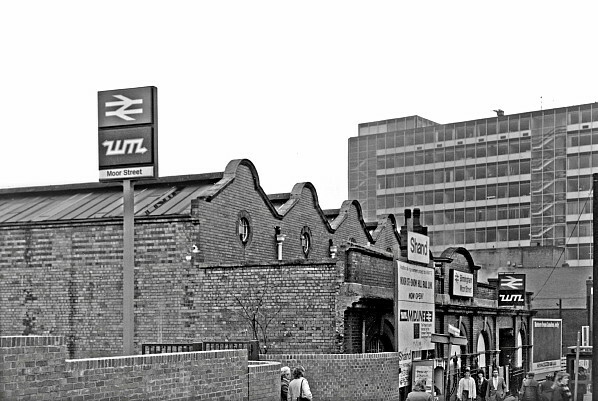 although the signage has yet to be removed. 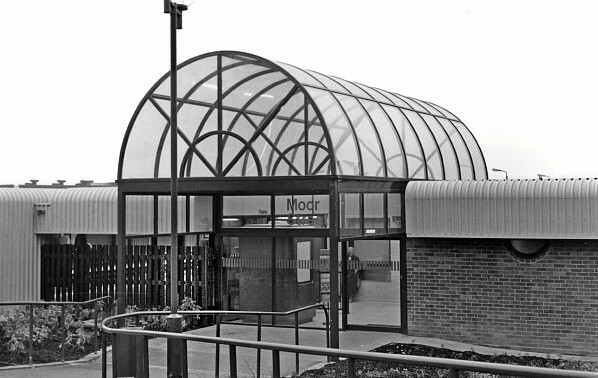 The new entrance to the through station was a typically uninspring building which following the opening of the terminus station, once again, and the linking of the old and new platforms was demolished. 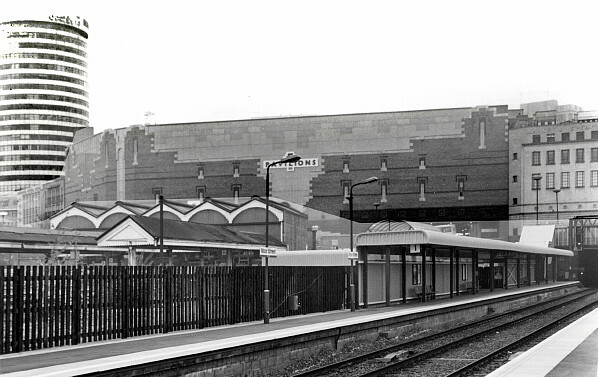 Looking west from the new up platform in November 1987 the charachter of the old building can be seen when compared to the new metal canopies which would be replaced with traditional looking ones when the two stations became linked. 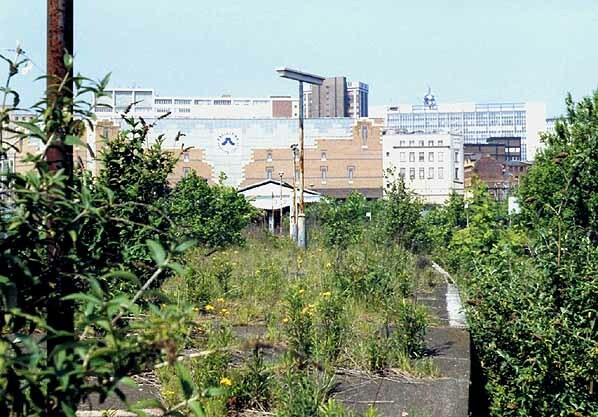 The terminus station seen in 1999 12 years after closure with trees and weeds in abundance. 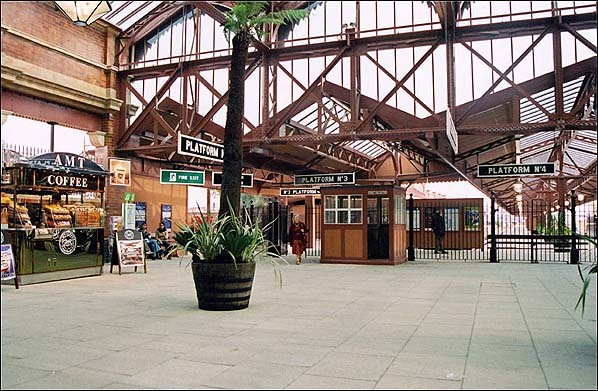 The exterior of the station on 29 June 2005 a dramatic comparison between ultra modern and traditional is achieved with the Selfiridges Armadillo building in the background. Viewed from the up through platform the station is seen following restoration now complete with GWR running in boards and period lanterns on the terminus station site only. 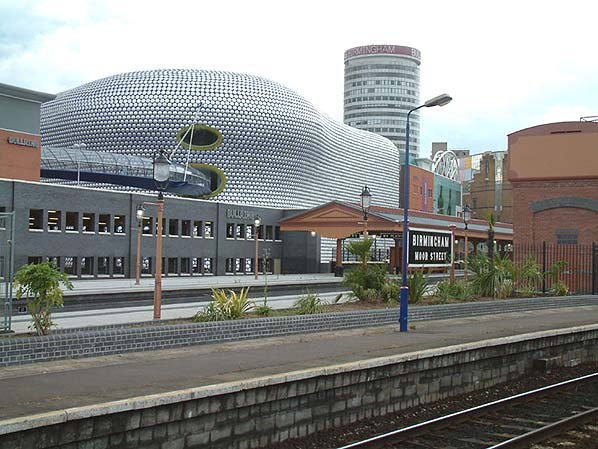 The building directly to the left of the station is the new Bullring car park which stands on the site of the former goods shed the bulding directly behind it is the new Selfridges department store and the Rotunda can be seen to the rear.